When strange symptoms like these began appearing in men at Casualty Clearing Stations in 1915, a debate began in army and medical circles as to what it was, what had caused it and what could be done to cure it. Re-assessing the official casualty figures, Taylor Downing for the first time comes up with an accurate estimate of the total numbers who were taken out of action by psychological wounds. It is a shocking figure. Taylor Downing's revelatory new book follows units and individuals from signing up to the Pals Battalions of 1914, through to the horrors of their experiences on the Somme which led to the shell shock that left the men unable to continue fighting. He shines a light on the official - and brutal - response to the epidemic, even against those officers and doctors who looked on it sympathetically. It was, they believed, a form of hysteria. It was contagious. And it had to be stopped. 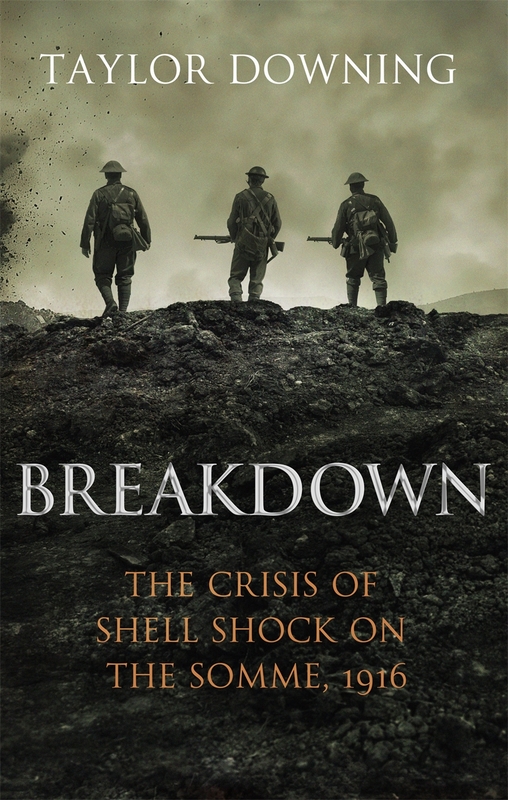 Breakdown brings an entirely new perspective to bear on one of the iconic battles of the First World War.